Sources told Express Koteswaramma has the reputation of being a no-nonsense officer who wouldn’t refrain from cracking the whip on wrongdoers. 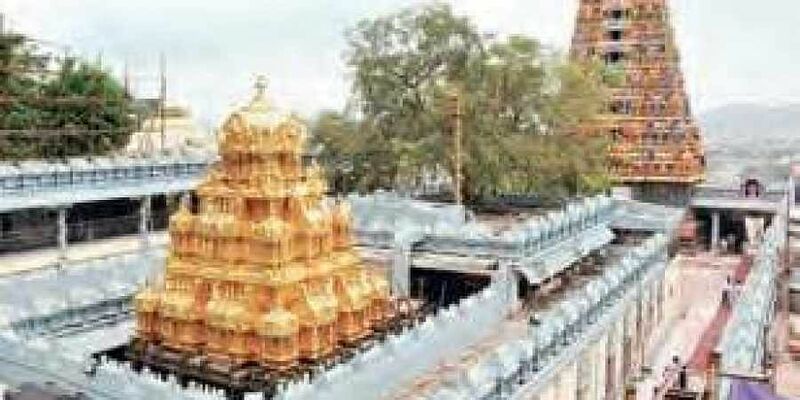 VIJAYAWADA: A day after sacking Durga Temple Trust Board member K Surya Latha for pilfering a Rs 18,000 saree offered to the presiding deity, the government on Friday relieved M Padma from the post of temple executive officer and appointed her the Managing Director of AP Brahmin Welfare Corporation. She has also been given full additional charge as Endowments Commissioner. V Koteswaramma, an IRS officer on deputation to the State from Central services has been posted as the new executive officer. Sources told Express Koteswaramma has the reputation of being a no nonsense officer who wouldn’t refrain from cracking the whip on wrongdoers. Devotees from Undavalli U Suryanarayana, his wife Vasundhara and others offered the silk saree to the Goddess on Sunday. It was used to adorn the deity but later set aside. The devotees realised after a while that it had gone missing and lodged a complaint with temple authorities. Following this, executive officer M Padma conducted an inquiry and submitted a report to the government. Meanwhile, Bhanu Prakash Yeturu has been posted as managing director of Andhra Pradesh Society for Training and Employment Promotion and director of Youth Services Department.